Get your low down on what's happening in the world of Malayalam cinema, right here! Sreenivasan and Kavya Madhavan will play the lead in director Kamal's forthcoming film titled Gadhaama. The pooja of the film was held recently in Kochi. The shooting starts on October 20, in Dubai. K Gireeshkumar has written the script. Kavya had made a comeback to films, after her marriage ran into rough weather, with Pappi Appacha. The film which starred Dileep as the hero, became a hit. She is currently shooting for Priyanandanan's Bhakthajanangalude Sradhakku opposite Irshad. She is also part of the multi-starrer Christian Brothers, directed by Joshiy and has Mohanlal, Dileep, Suresh Gopi and Sarath Kumar in the lead. Henry, the producer of the recent Malayalam-Tamil release Vande Matharam, has come out in public and raised his voice against the film's hero, Mammootty. Tamil hero Arjun was the other hero of this action flick. The producer, who gave Mammootty a crucial break in his career with Yavanika, said to a TV channel that the film had suffered due to the hero's "attitude". Vande Matharam took quite some time before it had hit the theatres but failed to impress the viewers much. 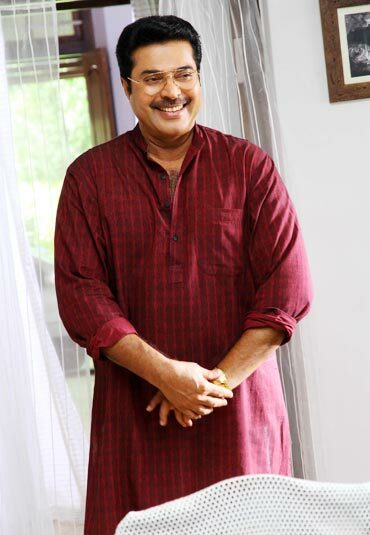 Jayaram is sporting a clean-shaven look for his latest film, Kudumbasree Travels directed by debutant, Kiran. The shooting of the film which started at Ottappalam has now been shifted to Kochi. Bhavana plays the heroine. Kudumbasree Travels handles a humorous theme. Jayaram, who has just completed Saji Surendran's Fo(u)r Friends, plays a chakyar koothu performer living in a rural village. He is in the search for a nangyar koothu artist and finally finds his match in Bhavana. But there are several issues that follow before the marriage can happen.